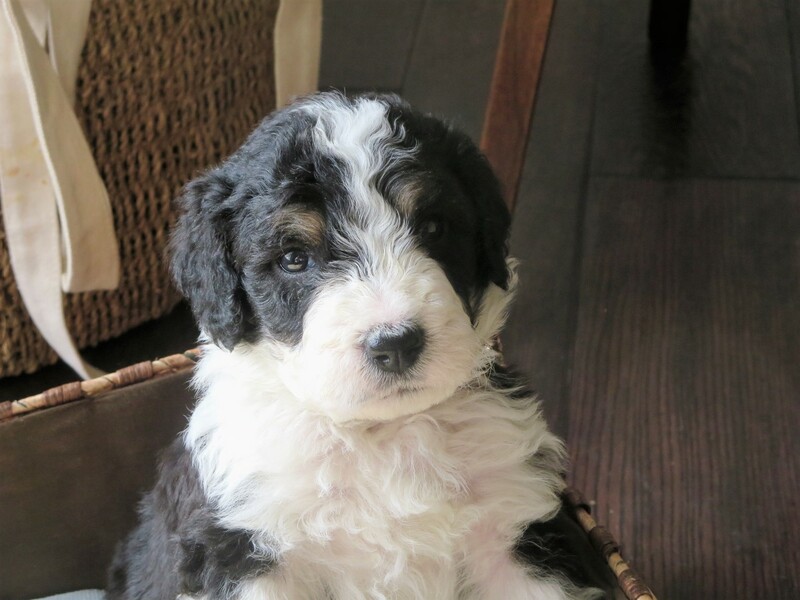 The personality of each Bernedoodle is dependent on the dominant breed parent. Hoever, they are generally very playful, goofy, clever, and loyal. Bernedoodles are also known for being good with children. What’s more, the Bernedoodle is low- to non-shedding, and is hypoallergenic! Each dog is different, and the temperment depends on the which parent’s breed is dominant. That being said, the Bernedoodle is generally very affectionate and playful. Among their favorite activities involves anything that keeps them around their human family. They are also known to be a bit on the wary side when around strangers. Early socialization will help to assuage this tendency, however. It is important to note, at this point, that Bernedoodles require a great deal of human interaction, so it is not a good idea to leave them alone for long periods of time. It’s also important to note that the toy and mini versions are more energetic and stubborn than the standard version. These traits may become important during training situations. Your Bernedoodle, though it can be headstrong, is easy to train as this hybrid gets high rank for intelligence from both the Poodle parent as well as the Bernese parent.